It’s 2018, which means that you can never phone in your marketing and communication efforts—unless, of course, you don’t care if people actually listen. The good news is that there are more channels than ever before to spread your message, whatever it is. The bad news? There are more channels than ever before to spread your message! So where do you start? What tweaks does your message need from the press release to the pay-per-click campaign to the guest article in a respected industry publication? It’s easy to get intimidated when thinking through all the avenues that you need to cover to make sure that you have crafted the right message to reach the right audience on the right platform—but this is where “trigger systems” can really help you (and your message) shine. Wait, what’s a trigger system, and why have I never heard of it? No, you didn’t zonk out in the middle of that webinar—we kind of made it up. At its most basic, a trigger system is a marketing and communications road map that is in place before you need it. You can create a trigger system for any recurring event that your company needs to communicate about. Once you know that the event is coming, a clear and replicable set of PR and marketing tasks get “triggered.” Depending on the event, this can include anything from social media and blog posts to press releases and fully updated marketing collateral—whatever will best optimize the reach of your campaign across multiple channels. Yes, we know that sounds pretty simple, but once you set up a trigger system, the thinking around what you need to do is already complete, so you can spend all your time and energy crafting a compelling message and supporting creative that stand out from the pack and really grab people’s attention. Trigger systems are as unique as each event you’re communicating about. They can be super-small and specific, reacting to an action taken by a customer (such as remarketing ads and abandoned cart emails for a customer who has left items in the online shopping cart), or they can be months-long, multidepartment affairs (such as the marketing and PR campaign around your company’s biggest trade show of the year). Whatever the scale of your communication needs, trigger systems can be hugely helpful in tons of situations. 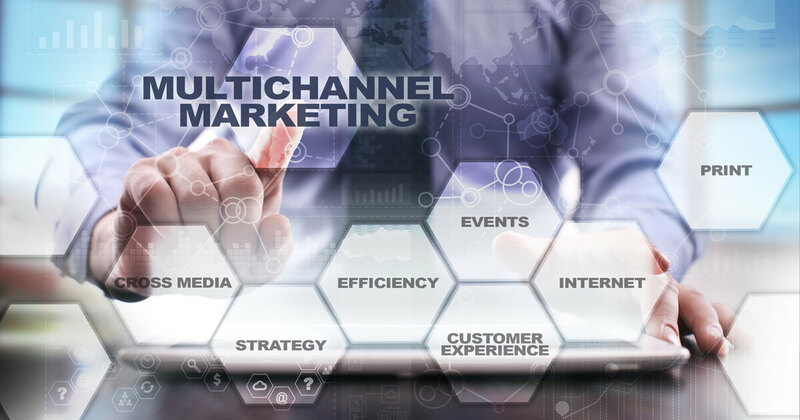 Below are three examples of how you can use trigger systems to maximize your multichannel development in very different situations. 1. Get more out of your retail campaigns. The flexibility of trigger systems is perfectly paired with retail. The cyclical nature of retail combined with the need for specific, of-the-moment, often seasonal variations on the same group of marketing tactics mean you can create plans for each different type of campaign that your company runs. Whether it’s a weekly deal, a last-minute clearance event, or a seasonal blowout, you’ll always have a plan already in place. If you have a standard sale once a month, the associated trigger system may be super-limited, with a drip email campaign and a set of PPC social and search ads. With something like Black Friday or Christmas, however, your trigger system might be sprawling, company-wide plans that require spreadsheets, meetings, and project managers to implement. Whatever the scale, trigger systems can expand or contract to meet your needs. 2. Get talked about at trade shows. It’s no secret: The goal of a trade show is to stand out. Your company should head into every trade show with a foolproof plan for being the booth that people just have to stop by. That begins with standout creative ideas that differentiate your company and your booth from your competitors. Trade shows are another great example where trigger systems can help to streamline your process for a constantly recurring situation. Don’t just create a “Trade Show Trigger System”; create a trigger system for each different type of show you attend. These trigger systems can include announcements and show-highlight press releases; email blasts to prospects; ads placed in the trade show’s program and website; a show-specific landing page on your website; refreshed marketing collateral and must-have swag; and, of course, a show-stopping new booth design. 3. Get people excited about your product release. Maybe your company is constantly releasing new products, or maybe it’s a once-in-a-blue-moon thing, but either way, you should always pull out all the stops for a product release—after all, you only get one chance for a first impression. In a situation like this, consider creating a multi-tiered trigger system that includes naming and branding your new product in addition to the initial release campaign and the general marketing. This holistic thinking can really pay off in terms of producing some stellar collaboration and greater company-wide buy-in of the new offerings. So what can’t trigger systems do? We haven’t found anything yet, and we encourage you to try out this tactic for yourself by creating trigger systems of your own. They’ll make your multichannel efforts considerably less daunting. Mike Schaffer is the CEO of Echo-Factory, Inc. Throughout the course of his career, Schaffer has provided strategic oversight and executive leadership for companies looking to position their businesses for growth, acquisition, or both. He is an ongoing contributor to CSQ magazine and a regular speaker at marketing conventions, and he mentors start-ups with the USC incubator and the Los Angeles Cleantech Incubator. He also organizes the largest Innovation Group in Los Angeles, which meets weekly in Pasadena.